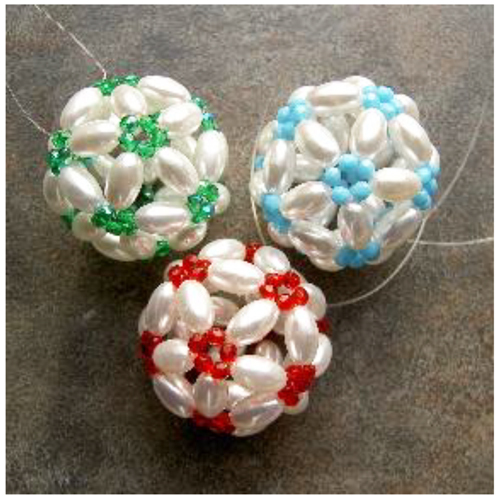 Create a nifty ornament in 20 steps. Uses monofilament, no needles and thread required. Because monofilament tends to be springy, I don't consider this a beginner project, but as always, a patient beginner willing to follow instructions and work slowly can certainly do this.